We believe in the power of community and invite you to become a part of ours. Because we realize that one-size doesn’t fit all, we have three levels of club membership; and at each level, you choose whether you’d like: all red, all white, all sparkling, or mixed. Plus, there's no fee to join. Cheers! Our passion for sparkling wine. The sparkling wine category holds a special place in the hearts of both winemakers and drinkers alike. Over the years we've often celebrated "any" occasion with a glass of California's sparkling wine. In 2014, we literally took a leap of faith and jumped into the Méthode Champenoise process to produce the highest quality sparkling wine. What came next was nothing short of serendipitous. Join us on our journey. 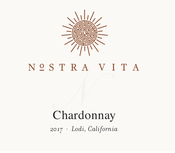 Creating exclusive wines while building inclusive relationships. Wine is not just a beverage, it is a sensory experience meant to be shared. Most of us remember a particular wine because of the memory that it evokes within us: a wedding, family dinner, or a quiet moment in front of a roaring fire. 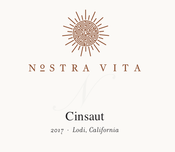 Nostra Vita [Italian for "our life"] Family Winery is a place of community, acceptance, discovery and, family. We invite you to visit with us, join in the discovery of each vintage, and share this exploration with your friends and family. We believe in providing our customers with a relaxed environment to taste, learn and enjoy a beautiful glass of wine. Make "our life" a part of yours!